The first thing that strikes you are the subtle interjections during the melody, like a sax player providing filigree between a singer’s phrases. The solo starts out following one idea, which introduced to me the concept of improvising compositionally. There is not a note out of place, with beautiful lines and consistent motivic development—not to mention his adventurous sense of harmony. 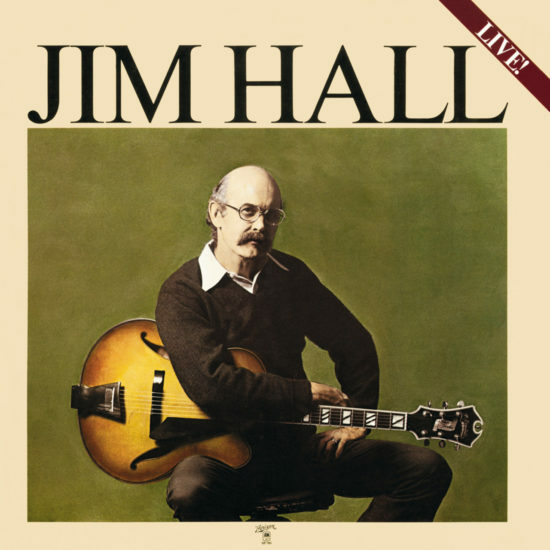 Cover of Jim Hall album Live! I used to listen to this album obsessively, and this is my favorite Wes performance on record. You just don’t want this solo to end, and it kind of doesn’t. I’ve heard that when the piano drops out it’s because Wynton Kelly has turned around to gape at Wes in astonishment. Obviously, no guitarist has ever swung harder, and the sheer joy he has for playing is directly transmitted. The lesson here: Have fun when you play! Ted Greene has to be remembered as one of the greatest guitarists ever to have lived, on the basis of this one solo record and a bunch of YouTube clips. He has a command of harmony and counterpoint applied directly to the guitar that is unprecedented and unmatched to this day. It just sounds impossible to play this freely and perfectly, all with a great sound, feel and soulfulness. Ralph Towner is one of my favorite guitarists as well as composers, though this track was most likely improvised. It builds slowly, everyone exploring his own space but listening intently, to a climactic drum solo. I love the way Jack DeJohnette’s ride cymbal blends with the sound of the 12-string, and Eddie Gomez’s beautiful arco sound just soars over it all. It’s enhanced by that classic ECM production. Mick is a genius. His importance as a theoretician and educator is legion, but before I knew about any of that I had his record In Pas(s)ing. The tune is cyclical and constantly modulating, so you never get a firm sense of a stable key center. I love his understated solo, with its crisp ideas and immaculate phrasing. Then he delivers a lesson in comping under John Surman’s great solo. Clearly, all that chordal knowledge had been assimilated. Bill is a monumental influence on me, an example of someone embodying an entire sound universe that remains personal no matter what style he chooses to express it through. I adore this entire record, but I chose this tune because it’s so striking. It’s just a perfect composition, and entirely unique. I have no idea where these ideas came from, but it is an elevated work. It’s hard to pick a favorite Scofield record, but Bar Talk was a huge influence at an early age. I used to see this trio, with Steve Swallow and Adam Nussbaum, every chance I got after accidentally wandering (in August 1981, I think) into their regular Sunday-night gig at a Howard Johnson’s in Yonkers. I love this tune’s harmonic obliqueness, flowing naturally between the harder, ominous intro and the pastoral harmonies of the main theme. John also takes a characteristically lyrical and bluesy solo. My other major acoustic guitar inspiration. He combines a seemingly limitless technical ability with expansive harmonic and compositional sense, and an extraordinarily deep sound. This track proposed a new level for what was possible, physically and conceptually, on the acoustic guitar, and instilled in me an ideal to aspire to. I also love how he uses his voice to enhance certain melodies. This was the second solo I ever transcribed (after Wes’ “Blue ’n’ Boogie”). I find his deep, woody sound combined with the forward momentum, beautifully crafted lines and perfect articulation invigorating and exciting. Swings hard at any tempo. 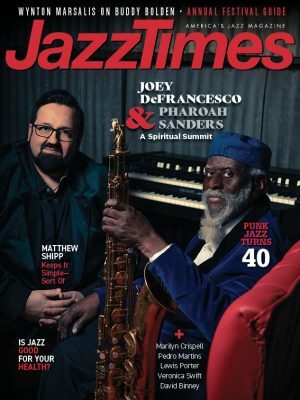 I find I always play better after listening to some Pat Martino. 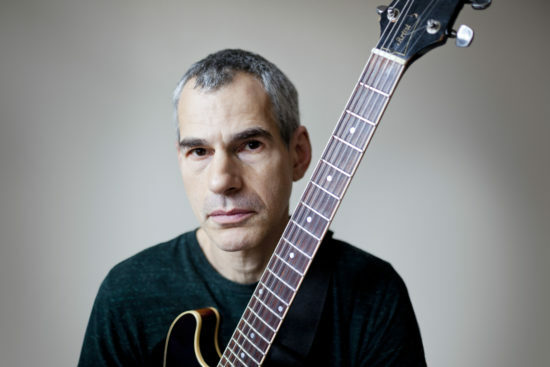 Ben Monder is a guitarist and composer based in New York City. In addition to leading his own ensembles, he has performed with Jack McDuff, Andrew Cyrille, Bill McHenry, Dan Weiss and the Maria Schneider Orchestra, among many others, and contributed guitar to David Bowie’s final album, Blackstar.